Cloud Computing for small businesses has never been more effective. By the end of 2013 it is anticipated that the Cloud Computing industry will be valued as a $44 billion market, with small and medium enterprises acting as a key driver. Cisco predicts that by 2015 Cloud spending within the US alone will be valued at $16 billion, showing dramatic growth from 2010 when only $5 billion was spent. Cloud Computing provides an array of advantages for businesses of all shapes and sizes, but what do SME’s specifically gain from the Cloud through an Infrastructure as a Service solution? The answer is a whole range of interlinking features, which attribute to improving the overall running and efficiency of the business. Reduced capital expenditure is one of the most widely promoted benefits derived from using Cloud technology. By accessing I.T. as a service, as opposed to maintaining a physical I.T. infrastructure, the company would not have to pay for the hardware up front if an upgrade was required. Through the Cloud, facilities can be added or subtracted to their service in real time, which not only increases efficiency and reduces total cost of ownership but it also improves cash flow. Cash flow management is especially important for an SME, and purchasing expensive hardware upfront could potentially cause issues. In addition to Infrastructure as a Service, Software as a Service also provides SMEs with the above benefits. By accessing software through the Cloud in a subscription based model the business avoids purchasing software licences in bulk. 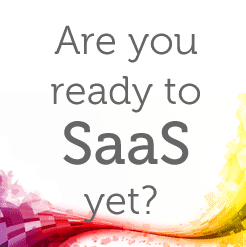 A SaaS solution is fast to deploy and being able to access software through the Internet avoids the time consuming process of installing the software on each physical machine. It also reduces maintenance should anything go wrong in the process. The software subscription typically includes upgrades, maintenance and an element of customer support, in addition to a guaranteed level of availability. Furthermore, interweaving with the benefits of lowering investment, Infrastructure as a Service can also reduce operational expenditure. By partnering with a Cloud provider, the business has access to a new knowledge and support base on a fully managed platform. Previously, when implementing a physical platform the business would have had to hire additional skills to manage, monitor, upgrade and maintain the infrastructure. 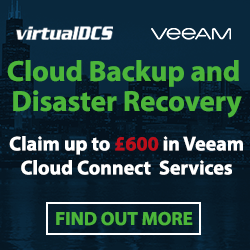 By working with a Cloud vendor, this requirement is obliterated and the business can also take advantage of benefits such as being hosted in a secure data centre on a comprehensive platform which the provider has invested in. Through this vendor investment, advantages such as high availability and reliability can often be guaranteed as few businesses, especially SME’s, can match the platform and security performance offered by a Cloud Computing vendor. Through Cloud technology, a small business gains access to an enterprise hosting solution. By renting shared resources on a Public Cloud, further reductions in operational expenses are witnessed, as the business itself is not running physical hardware or cooling facilities. 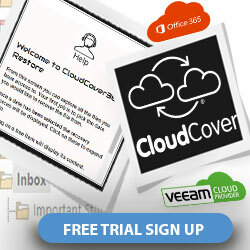 Through this sharing, Cloud Computing has been proven to be a green I.T. solution, presenting the SME with an additional business USP. One of the most sought after advantages of hosting is remote access, where employees can work anywhere in the world, as long as they are connected to the Internet. If a business is affected by events such as flooding and heavy Snow, an employer can remain confident that trade will not be damaged. In addition to being able to empower employees, remote access is particularly important for SME’s as the business is dependent on a few key members of staff to continue working. With IaaS technology the business can access a secure central file system, which has been proven to be more secure than hosting business material on several separate working machines, as vital data can often be misplaced, lost or stolen with no option to recover. Over a physical infrastructure, IaaS and SaaS provide a range of advantages that improve the processes and efficiency of the organisation. In particular, for SME’s the Cloud provides a comforting level of secure I.T. services in which to build a business. Previous: Previous post: Social enterprise SPLASH!